A new study casts doubt on historical lore. The saying goes that history is written by the victors. But sometimes that history is written inaccurately by the disease-bearing colonizers who defeated the original (and supposed) victors. Case in point: the story that’s been told of the Chachapoyas people, indigenous Americans who lived in the cloud forests between the Andes and the Amazon in northern Peru. Writings by Spanish conquistadors, said to be based on Incan oral histories, say that after years of resistance the Chachapoyas were conquered by the Inca empire and forced to disperse and resettle throughout the kingdom. However, recent DNA analysis conducted by scientists at the Max Planck Institut, the Universidad Nacional Mayor de San Marcos, and the Universidad de San Martín de Porres reveals that this was not the case. In a paper published Tuesday in Scientific Reports, they reveal that the Chachapoyas were not forcibly uprooted, and their descendants continue to live in their ancestral homeland today. 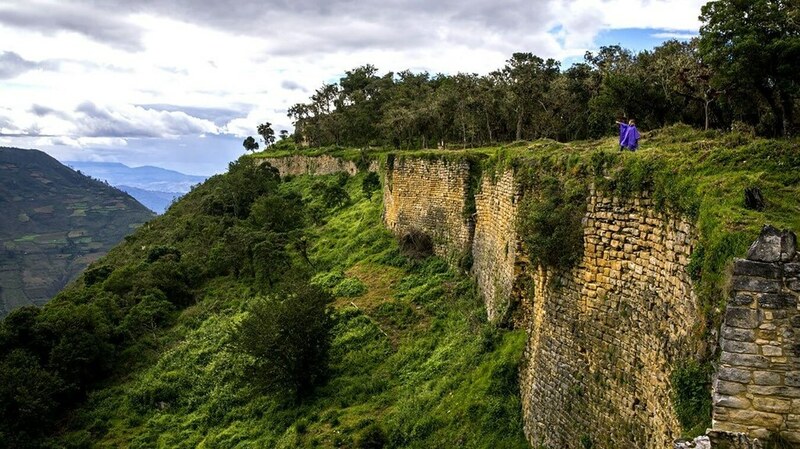 The fortress of Kuelap in Northern Peru is where the Chachapoyas once thrived. In the study, the scientists used genetic evidence to prove that although this area was eventually conquered by the Incas, the people living there did not assimilate into the empire. The living Chachapoyas today, they show, remain genetically distinct. By analyzing the genomes and Y-chromosomes of 119 people who currently live where the Chachapoyas once thrived, they found that a “high indigenous component” remained in their DNA, meaning that big parts of their genomes are distinct from the genes of other people who live neighboring Andean regions. Subsequent analysis also revealed that this sample of Peruvian people, who are still capable of speaking Quechua — an ancient Andes language that was essentially the lingua franca of the Inca empire — are genetically distinct from Quechua speakers in other places, like Ecuador. This suggests to the scientists that Quechua was first spoken by the Chachapoyas because of cultural diffusion into the area — not because of the migration of genetically different people to the region. When Quechua and Spanish came to the cloud mountains, local Chacapoyas languages died out, although characteristics of these languages, particularly certain sounds, still remain in some people’s surnames and in the names of some places. High-ranking Chachapoyas were entombed in body-shaped sarcophagi. Genetic studies like this are essential to understanding the pre-colonial history of the Americas and filling in the gap of the archeological record, the researchers write. The Chachapoyas, in particular, have fascinated archaeologists for years, with their remote fortresses and distinctive culture — which included the practice of entombing high-ranking members of society into body-shaping sarcophagi. Now we know that they weren’t genetically erased from their homeland, adding one piece to the ancient puzzle.